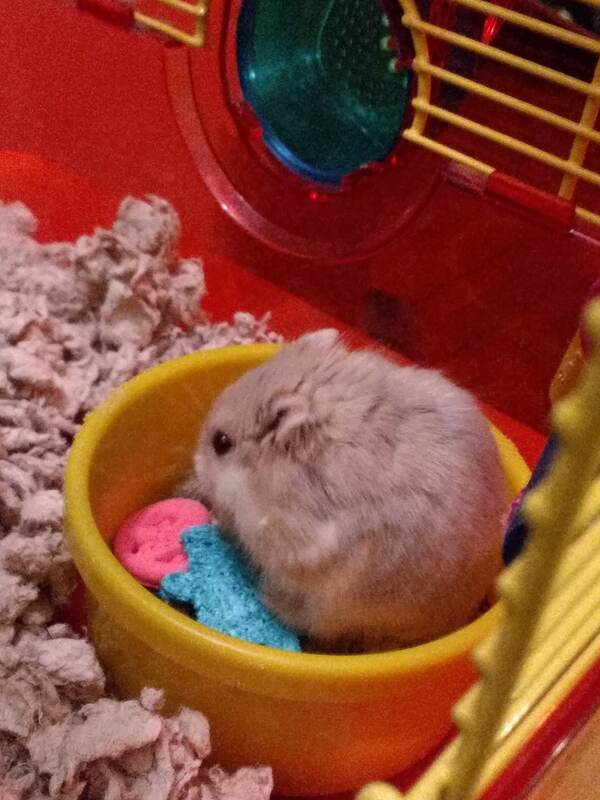 She’s a dwarf hamster, so she’s very tiny. She’s also very skittish – we haven’t been able to hold her yet, but we’re hoping that she’ll eventually warm up to us. I was picking out some fun Halloween treats for Gabe and saw that they had fun treats for small animals available as well.